Lauren Anderson is the Chief Content Officer (CCO) for Indigo Development and Entertainment Arts, the joint venture studio between NBCUniversal and Snapchat. Lauren was named to the position in November 2017. As CCO, Lauren is responsible for all aspects of the studio’s business and creative development, including production, research and marketing. In just one year, Indigo has produced a variety of short-form series for Snapchat’s Discover platform, leading their push into scripted, premium content. From a viewership standpoint, Indigo shows have compelled audiences to watch in ways that defy industry standards and show a transformation in traditional mobile behavior. Prior to Indigo, Lauren was a 12-year NBC Entertainment veteran. 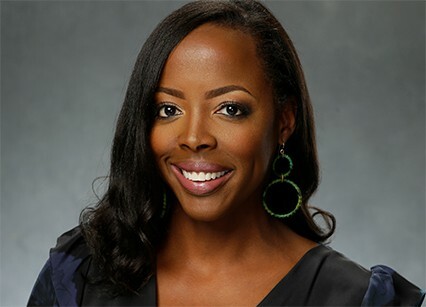 In her former role as Senior Vice President, Primetime Programming, Lauren oversaw shows such as Parks and Recreation, The Office, The Carmichael Show, and The Good Place. Lauren began her professional career at the National Basketball Association in New York City, starting as a summer intern while earning her BA from Columbia University.